Licenses are available to both NH residents and non residents. You must have a valid, current New Hampshire firearm license to apply. Incomplete and/or illegible applications will not be considered. 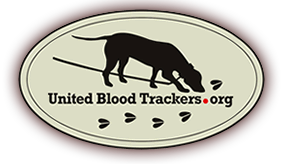 A leashed dog tracking license entitles the licensee to use a leashed tracking dog to locate wounded or dead big game animals for another licensed hunter. Unless physically incapacitated, the hunter shall accompany the licensed tracker while tracking the animal. The licensed tracker shall not use more than 2 dogs for tracking big game animals at one time. The licensed tracker shall not charge for services of tracking big game animals. The license tracker shall submit an annual summary report to the Fish and Game Department no later than December 31 st of the year license was held. Individuals who fail to submit the required report shall not be eligible to purchase a leashed dog tracking license until the report is submitted. Complete copies of the rules (Fis 311) are available from the Fish and Game Department. These licenses are available only from Fish and Game Headquarters (in person or by mail). The annual fee is $50.00; applicants must hold a current year N.H. firearm license.